Private Investigations in Germany - Private Detective Germany. 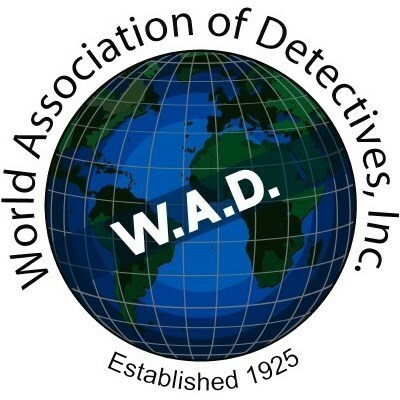 1.1 A Plus Detective Agency – Your partner in Germany. Ever since its establishment in the 1990s, customer care has always been at the heart of our business. Flexibility, accuracy, confidentiality, and specialist knowledge all play an important role in delivering investigations and accurate information to the highest standards. A Plus Investigations in Germany has experience with the latest technological equipment. Our investigators and private detectives are located in most of the major towns in Germany. The investigators of the A Plus Detective Agency have experience in covert surveillance and background investigations throughout Germany. A Plus Detective Agency – Your partner in Germany. Adultery – is your spouse cheating on you? Know for sure and get peace of mind, with evidence to back it up. Domestic investigations – infidelity, custody disputes, and child abuse are sensitive issues. Our German private investigators adhere to a strict confidentiality agreement and will always keep your feelings in mind. Insurance fraud investigation – witness interviews and statements, activity check, and surveillance. Attorney services – need to find a witness? We locate people in Germany. Background checks and evidence gathering. All results can be used in a court of law. Corporate investigators conduct internal and external investigations for law firms, companies and private clients. People Search in Germany – we locate nearly anyone nationwide in Germany. Skip Tracing service available in anywhere in Germany. Have you lost touch with a relative in Germany? Does someone owe you money? Has someone disappeared? Our German Investigators have a 85%+ success rate in locating people. TSCM services – Our agents provide a professional electronic bug detection service for companies and private clients. We check your home, car, office, or personal effects for the presence of covert microphones, detect a hidden camera, or find a planted car tracker. As well we work for business people who suspect their commercial site is being listened into or under surveillance. Bug Sweeps and Counter Surveillance across Germany, The Netherlands and Switzerland. More information in German language: Lauschabwehr in Germany. When you are in need of information in Germany call our German private detective agency. Our investigators will help you and treat your case with the highest confidentiality. Germany does not require private investigators to be licensed at the state level. Many former police officers work in this business as a private eye so in our agency. Therefore, if you want to hire a German Private Investigator there is no need to ask to see a license as there is no license in Germany for a Private Detective. The A Plus Detective Agency does not offer security services. A Plus Private Investigations: Your private detective in Germany.